How are kids already back in school? It feels like summer went by in a blink of an eye, but I guess that’s how it always feels! Growing up, one plus side of going back to school was buying a few special treats for breakfast and lunches. We weren’t allowed sugary snacks on the regular so getting a box of PopTarts was a big deal! 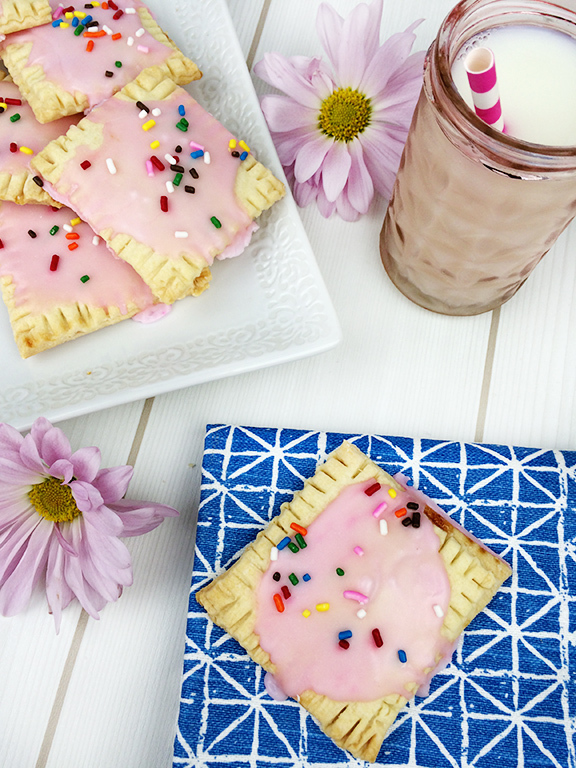 Ian and I still try to limit the amount of sweets we keep in the house, so when I surprised him with a batch of homemade PopTarts he could barely wait until they had cooled off to pop one in his mouth. In the past, I made my own pastry dough but this time around I bought pre-made pie crusts and it was a huge time-saver! 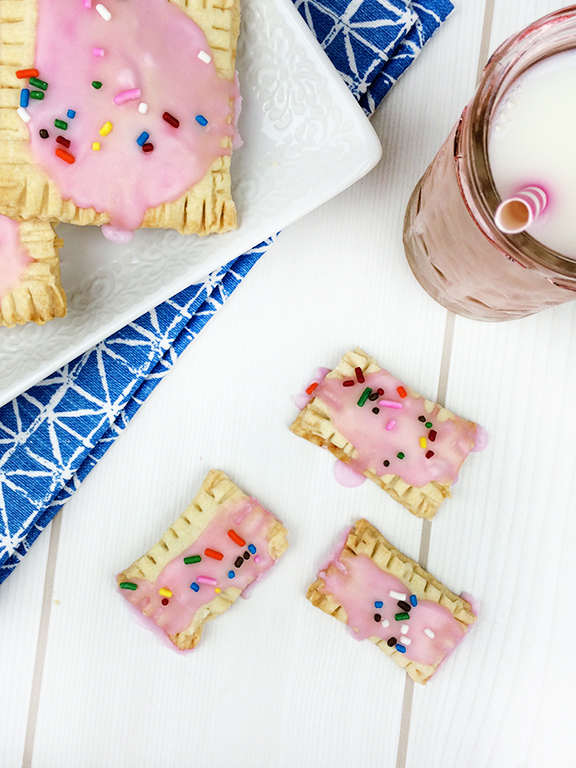 These PopTarts are also highly versatile. You can have fun and play around with fillings or toppings. 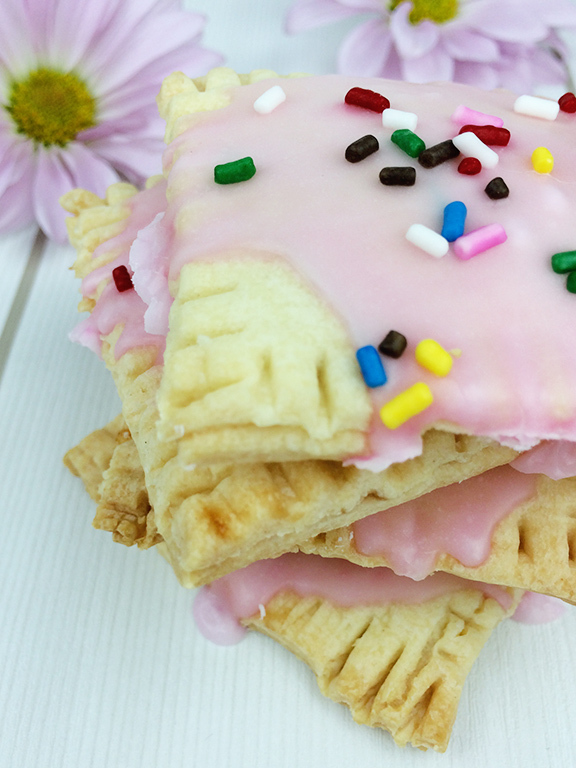 For this batch, I stuck to a traditional flavor, strawberry, but I played around with mini PopTarts. How cute are these little guys?! Roll out your pie crusts and cut into rectangles.